A 26-year-old man remains in hospital in stable condition following a crash near the UTM campus Friday. Emergency crews responded to a call around 3:30 p.m. at Mississauga Rd. and Dundas St., where a motorcycle collided with a car. 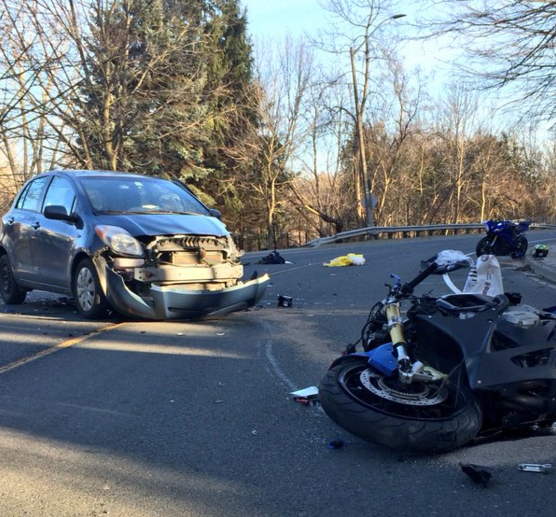 A second motorcycle was involved, said Peel Police. Paramedics treated a man for non-life threatening injuries before taking him to Credit Valley Hospital, where his injuries were deemed serious. He was later transported to a trauma centre. The major collisions bureau is investigating.